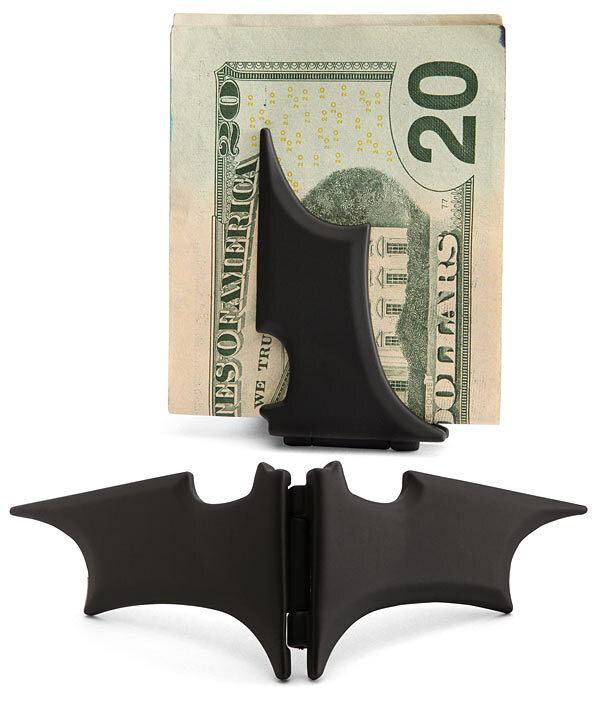 Keep your money bills, ID's and debit/credit cards in style with these unusual and unique wallets. 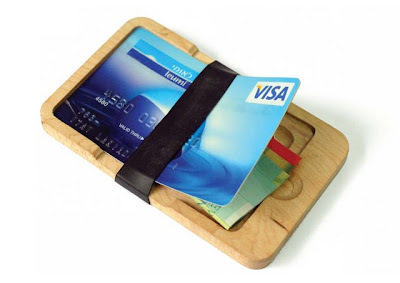 Wooden Wallet: This creative wallet uses credit cards as a cover for money bills. Batman Wallet: Black rubberized coating with a magnetized grip holds your cash in place. 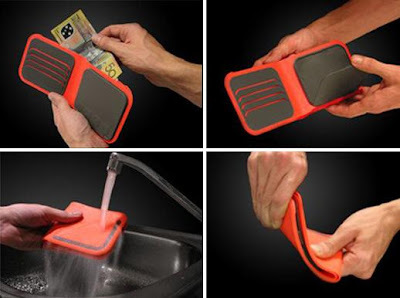 Titanium Wallet: This cool wallet is made of titanium which is one of the most durable metals that exists. 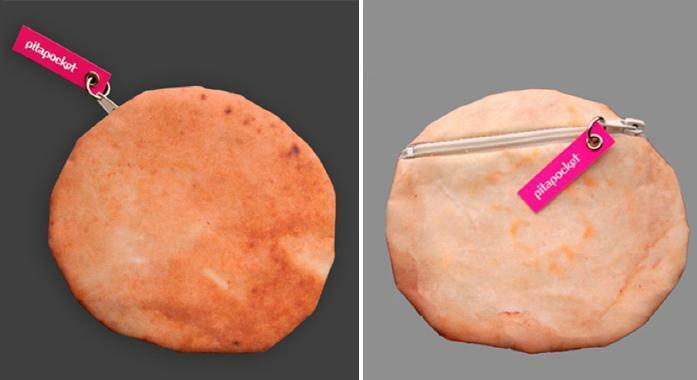 It usually comes in two different versions: brushed and polished. These wallets are hand assembled, comes with a riveted money clip and a place for keeping debit/credit cards. Nau Wallet: This award winning wallet with a neat, simple shape is made from reused polyester. 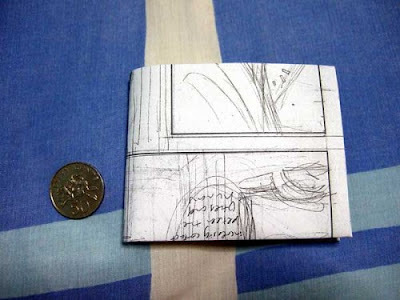 Paper Wallet: Cool to look and simple to make, make your own paper wallet. 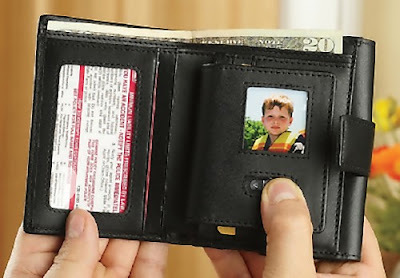 Koffski's Wallet: This wallet is comprised of three pieces, a wallet, a small bag, and a "V" connector. 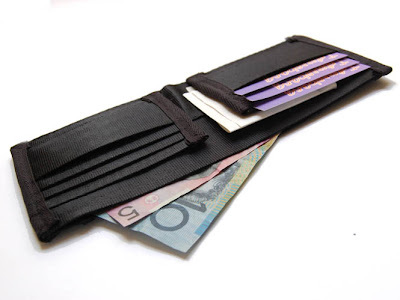 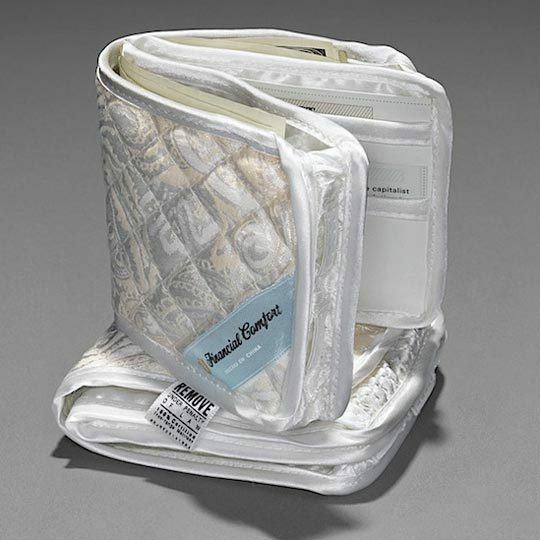 Mattress Wallet: A cool wallet for those people who feel secure hiding money under their mattress. 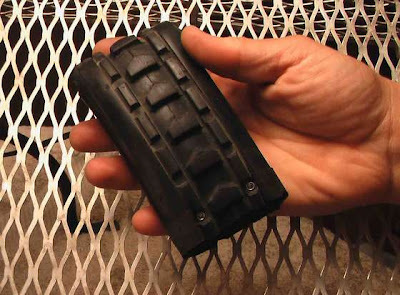 Tire Wallet: Cool rubber wallet created from used mountain bike tire. iPod nano Wallet: This multi-use iPod case called the Knox, was designed to be a wallet and iPod case. 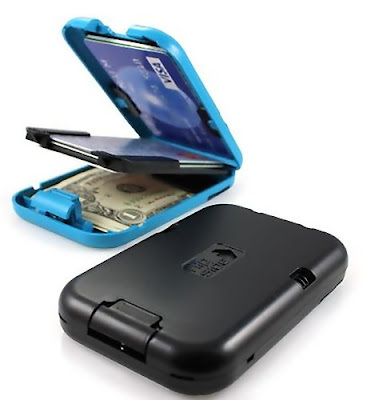 Made from of aircraft-grade aluminum, it holds your nano along with any other wallet essentials like money bills and credit cards. 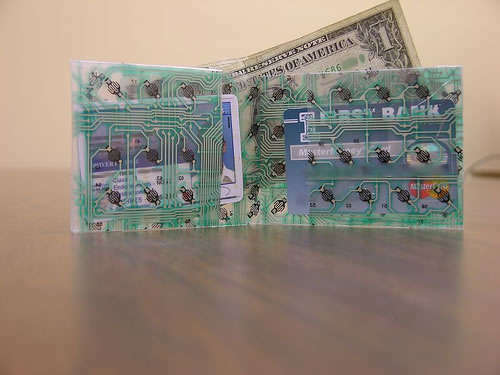 Wallet 2.0: It comes with five transparent compartments for different items like money bills, coins, ID, credit cards and 'others'. 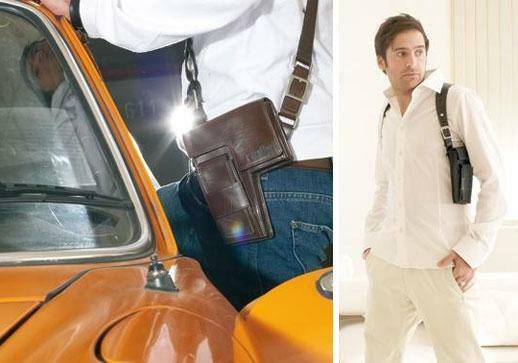 Seatbelt Wallet: This handmade men's wallet features what all you get in a standard wallet, with the uniqueness of being made entirely from used seatbelts. 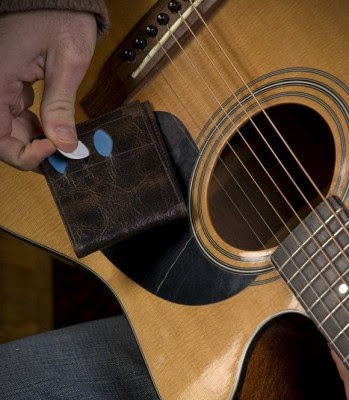 Braithwaite Orpheus Wallet: This cool wallet treats your plectrums the way it attends to your money bills. Flipside Wallet: This slim, compact and nifty-looking wallet comes with RFID shielding that keeps your debit/credit cards secure. 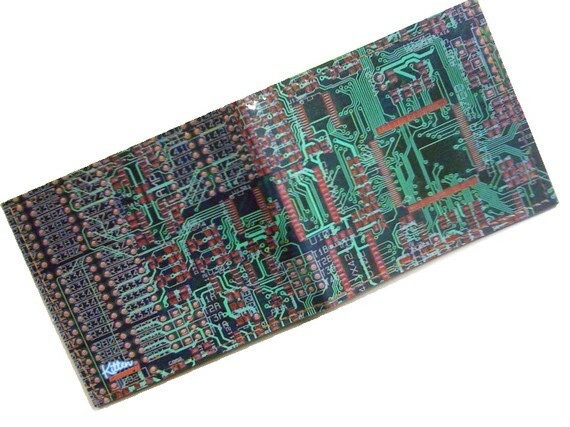 Circuit Board Wallet: The outside of this wallet features a circuit board, while the inside has a large pocket for bills and 4 smaller pockets for debit/credit cards. Food Wallet: Creation of designer Anat Safran, this comes from 'Yummy Pockets' series that consist pita, pizza, taco and cookie shaped pockets. 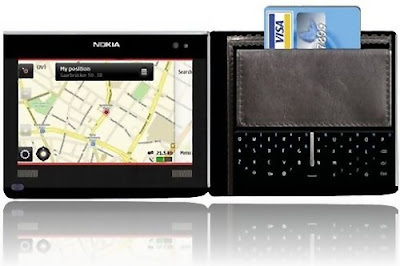 Digital Photo Frame Wallet: You can carry up to 60 digital photos inside your wallet and view them using the built-in digital photo viewer. 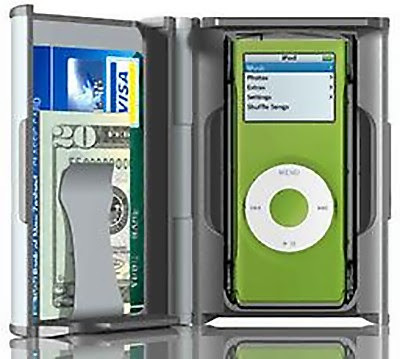 Aluminum Wallet: This wallet holds a wad of money and still has enough room for ten more credit cards. 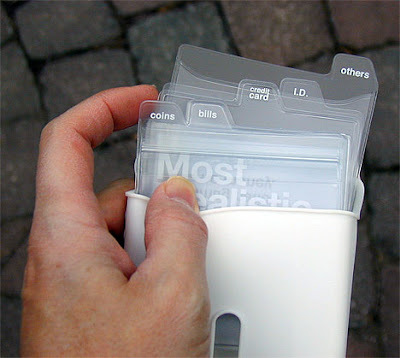 Computer Keyboard Wallet: Its cool to look and simple to make. 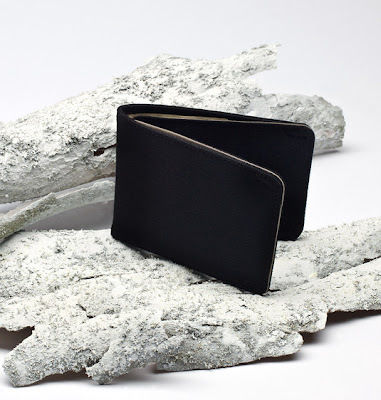 Don’t miss to check out “Unusual and Unique Wallets – Part: 1| 2”.